The 2015 Tanglewood season, June 20-Labor Day Weekend, boasts an abundance of musical riches with concerts by the incomparable Boston Symphony and Boston Pops orchestras, the Tanglewood Music Center, and internationally acclaimed guest artists from the worlds of classical, jazz, the American Songbook, Broadway, pop rock, dance, and film, as well as performances spotlighting special anniversaries, thematic programming, and theatrical presentations. 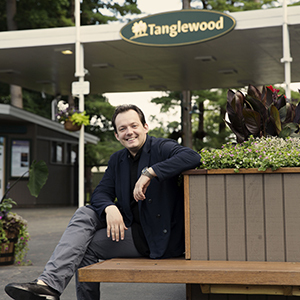 Unique to the 2015 Tanglewood season will be the celebration of two milestones: the inaugural season of BSO Music Director Andris Nelsons and the 75th anniversary of the Tanglewood Music Center, the BSO’s prestigious summer music academy. In a first for the Tanglewood Festival, Yo-Yo Ma and Emanuel Ax will each take on the newly created title of Koussevitzky Artist—an honorary title reflecting the BSO’s deep appreciation for their generous performance and teaching commitment to the 2015 Tanglewood season, and for each of their extraordinary 30- plus-year involvement with the BSO at Tanglewood and at Symphony Hall in Boston. In what is sure to be one of the highlights of the 2015 Tanglewood season, the legendary Tony Bennett and megastar songstress Lady Gaga will perform music from their acclaimed new album, Cheek to Cheek, 6/30. Tickets for the 2015 Tanglewood season, priced from $10 to $124, go on sale Sunday, January 25, at 10 a.m. at 888-266-1200 and www.tanglewood.org., where visitors can also find full details of the 2015 Tanglewood concert schedule. Tanglewood—this country’s preeminent summer music festival and the summer home of the Boston Symphony Orchestra—is located in the Berkshire Hills between Stockbridge and Lenox, MA. 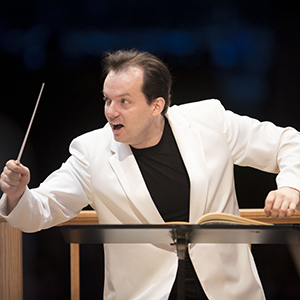 Andris Nelsons leads six Tanglewood performances in his first season as BSO Music Director. For his first BSO concert of the season on August 1, Mr. Nelsons leads Beethoven’s Triple Concerto with pianist Jean-Yves Thibaudet, violinist Renaud Capuçon, and cellist Gautier Capuçon, on a program with Shostakovich’s Symphony No. 10. On August 2, cellist Yo-Yo Ma and BSO principal viola Steven Ansell join Mr. Nelsons and the BSO for a performance of Strauss’s Don Quixote, on a program with Haydn’s Symphony No. 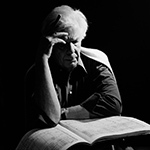 90 and Australian composer Brett Dean’s Dramatis personae, Music for Trumpet and Orchestra, with Håkan Hardenberger as soloist. Mr. Nelsons will lead the combined forces of the Boston Symphony and Tanglewood Music Center orchestras in Tchaikovsky’s 1812 Overture, as part of Tanglewood on Parade, one of the festival’s most popular annual traditions (8/4). On August 8, Mr. Nelsons will join in the 75th TMC festivities by leading Mahler’s monumental Symphony No. 8, featuring the Tanglewood Music Center Orchestra, supplemented by TMC alumni, Tanglewood Festival Chorus, BUTI Chorus, American Boy Choir, and a cast of internationally acclaimed soloists, to include sopranos Erin Wall and Christine Goerke, mezzo-sopranos Lioba Braun and Jane Henschel, tenor Klaus Florian Vogt, and baritone Matthias Goerne. 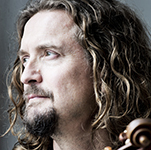 On August 14, Mr. Nelsons leads the Mendelssohn Violin Concerto with soloist Christian Tetzlaff on a program with Mahler’s Symphony No. 6. For his final program of the 2015 Tanglewood season on August 15, Mr. Nelsons will be joined by Kristine Opolais for the Willow Song and “Ave Maria” from Act IV of Verdi’s Otello and “L’altra notte in fondo al mare” from Act III of Boito’s Mefistofele; the program will also feature the BSO in the Intermezzo from Act III of Puccini’s Manon Lesaut, Barber’s Second Essay for Orchestra, and Strauss’s Ein Heldenleben. The 2015 Tanglewood season will introduce the first ever Koussevitzky Artist honorific, a newly created title that will be given to Yo-Yo Ma and Emanuel Ax, who will both be featured in four performances, in recognition of their generous artistic contribution to the 2015 Tanglewood season and the pedagogical role they will play as teachers at the TMC during the academy’s 75th Anniversary Year. This newly created title also recognizes the extraordinary contributions that both Mr. Ma and Mr. Ax have made as inspirational performers who have appeared annually with the BSO, Mr. Ma since 1983, and Mr. Ax since 1982. 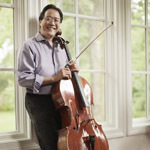 On Sunday, August 9, at 8 p.m., for only the second time in their performance history at Tanglewood, Yo-Yo Ma and Emanuel Ax will perform a recital—the complete Beethoven Cello Sonatas—in the Koussevitzky Music Shed, with a capacity for 5000 seats, in response to the overwhelming popularity and demand for tickets for their more frequent appearances together in the 1200-seat Ozawa Hall. 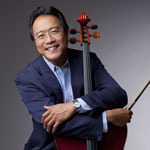 In another special event with Yo-Yo Ma, the famed cellist is joined by fellow cellists Mike Block, Monika Leskovar, and Giovanni Sollima, and the Boston Cello Quartet, made up of BSO cellists Mihail Jojatu, Alexandre Lecarme, Adam Esbensen, and Blaise Déjardin, for an Ozawa Hall program entitled A Distant Mirror, exploring the musical worlds and contemporary resonances of the 16th and 17th centuries, including the impact of the period’s most celebrated literary figures, Shakespeare and Cervantes (8/13). 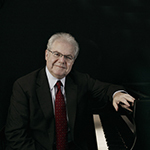 Emanuel Ax will join the Tanglewood Music Center Orchestra during the Festival of Contemporary Music on July 20 to perform Robert Zuidam’s Piano Concerto, for Emanuel Ax and the TMCO. For his solo appearance with the BSO, Mr. Ma will join the BSO, Andris Nelsons, and BSO principal viola Steven Ansell for Strauss’s Don Quixote on 8/2, as part of Tanglewood’s season tribute to the 400th anniversary of the publication of Cervantes’ Don Quixote, Part II. For his BSO appearance, Mr. Ax will join the orchestra and conductor Michael Tilson Thomas for Mozart’s Piano Concerto No. 14 on 7/25. Mr. Ax and Mr. Ma will be joined by violinist Leonidas Kavakos for an all-Brahms program on August 6 in Ozawa Hall. The TMC’s 75th anniversary celebration will be rich and multifaceted, highlighted by more than 30 newly commissioned works; the annual Festival of Contemporary Music, July 20-27, featuring 15 premiere performances; and a Tanglewood Music Center Orchestra performance of Mahler’s monumental Symphony No. 8, “Symphony of a Thousand,” under the direction of BSO Music Director Andris Nelsons. The celebration will also feature two media projects designed to bring the TMC’s anniversary celebration to audiences far and wide: a free webcast of the Mahler 8 per formance, with supplemental video about the TMC anniversary, and free weekly 75th anniversary music downloads, featuring some of the best of theTMC’s 75-year performance history, both to be made available at www.tanglewood.org during summer 2015. The Tanglewood Music Center Orchestra—the TMC’s most prestigious performing ensemble—will perform in eight concerts throughout the summer, including programs featuring four world premieres and works of Bernstein, Brahms, Britten, Copland, Debussy, Foss, Hindemith, Ives, Mahler, Mozart, and Tchaikovsky, under the direction of Andris Nelsons, Asher Fisch, Ludovic Morlot, Michael Tilson Thomas, and Stefan Asbury. Visitors to Tanglewood this summer will have a chance to learn more about the TMC and take in details of its history and mission through commemorative program books and an archival exhibit at Tanglewood’s Visitor Center. The Tanglewood Music Center, the Boston Symphony Orchestra’s acclaimed summer academy for advanced musical study, will mark its 75th anniversary season in the summer of 2015 with events and programming that will spotlight its past accomplishments and celebrate its standing as one of this country’s preeminent places for the creation of new music and opportunities for collaborative music-making in the area of recital, chamber music, vocal, and orchestra performance. Considered among the top academies of its kind in the world, the TMC is the only summer music academy that operates under the auspices of a major symphony orchestra, with the membership of that orchestra, along with other prominent musicians, playing a key teaching role in preparing its Fellows for a future life in music. Many of the world’s most renowned classical music figures of the 20th and 21st centuries—including Claudio Abbado, Leonard Bernstein, William Bolcom, Osvaldo Golijov, John Harbison, Lorin Maazel, Zubin Mehta, Seiji Ozawa, Wynton Marsalis, Leontyne Price, Ned Rorem, Bright Sheng, and Dawn Upshaw—have passed through the TMC’s programs since the academy’s founding in 1940. Keith Lockhart and the Boston Pops Esplanade Orchestra will present the world premiere of a full orchestral arrangement of Sondheim on Sondheim, expanding the original Broadway score for the first time ever for full symphony orchestra (6/20). This new version of Sondheim on Sondheim—anintimate revue of the life and work of Stephen Sondheim told in his own words via film, the live performers, and through his music—will feature a cast of Broadway stars and Vocal Fellows of the Tanglewood Music Center. The Boston Pops will bring Cirque de la Symphonie and its magical fusion of circus and classical music to Tanglewood, following last year's sold-out performances at Symphony Hall in Boston. Aerial flyers, acrobats, contortionists, dancers, jugglers, balancers, and strongmen are among the talented artists who will take the stage for an evening of circus magic with the one and only Boston Pops Orchestra. Mr. Lockhart will also lead the Boston Pops on July 5 and during Tanglewood on Parade on August 4. One of Tanglewood’s most beloved traditions—John Williams’ Film Night—will take place on August 22, with David Newman joining Mr. Williams and the Pops for one of the signature events of the summer. On July 6, in an evening entitled Tanglewood Brass Spectacular!, members of the Boston Pops brass and percussion sections will perform a one-of-a-kind concert with two of the world’s most acclaimed drum-and-bugle corps: the Boston Crusaders, the third-oldest drum corps in America, celebrating their 75th anniversary, and the sixteen-timeDrum Corps International World Champion Blue Devils from Concord, California. In addition to the highly anticipated appearance by Tony Bennett and Lady Gaga in an evening of selections from their new album Cheek to Cheek, 6/30, the 2015 Tanglewood popular artist series will also feature Diana Krall, returning to Tanglewood as part of her Wallflower World Tour, featuring music from her soon-to-be-released album (February 2015), Wallflower, 6/21, and Huey Lewis and the News will make their Tanglewood debut as part of their “While We’re Young Tour,” 6/28. July 4 program details will be announced at a later date. Special events to take place at Ozawa Hall include the return of the Mark Morris Dance Group with a newly commissioned dance piece to Bach’s Brandenburg Concerto No. 1 (6/25&26); a performance by jazz great Wynton Marsalis and the Jazz at Lincoln Center Orchestra (7/14); The Knights performing Falla’s Master Peter’s Puppet Show, based on an episode from Cervantes’s Don Quixote,* with a puppet theatre production by Basil Twist (7/30); and Matthias Goerne singing Schubert’s Winterreise (8/5). 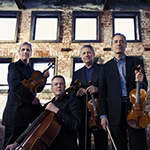 The 2015 Ozawa Hall season will also present chamber music programs by the Emerson String Quartet performing music of Ives, Liebermann, and Beethoven (7/22); Boston Symphony Chamber Players performing music of Hannah Lash, Nielsen, and Brahms (7/1); and Apollo’s Fire, with the Cleveland Baroque Orchestra and music director Jeanette Sorrell, in a concert entitled A Nig ht at Bach’s Coffee House, with music of Bach, Handel, and Vivaldi, as well as excerpts from Telemann’s incidental music to Don Quixote* (7/2); and an all-Brahms program of piano trios with Yo-Yo Ma, Emanuel Ax, and Leonidas Kavakos (8/6). Ozawa Hall recital programs will feature Sarah Connolly and Baiba Skride in vocal and chamber music of Schumann and Mozart (7/14); Leon Fleisher with Katherine Jacobson in music of Bach, Perle, Koston, Kirchner, and Ravel (7/8); Paul Lewis in an all-Beethoven program (7/21); Audra McDonald in an evening of favorite show tunes, popular standards, and original pieces written especially for her (7/19); Bryn Terfel (7/9); and Christian Tetzlaff in music of Ysaÿe, Bach, Kurtág, and Bartók (8/12). *The Knights’ performance of Falla’s Master Peter’s Puppet Show, based on an episode from Cervantes’s Don Quixote (7/30), and the Apollo’s Fire performance of excerpts from Telemann’s incidental music to Don Quixote, (7/2); along with the BSO performance of Strauss’s Don Quixote with Yo-Yo Ma and Steven Ansell, under the direction of Andris Nelsons (8/2), are part of Tanglewood’s season tribute to the 400th anniversary of Cervantes’ Don Quixote, Part II. Popular guest conductor Stéphane Denève leads a July 10 program featuring the BSO debut of superstar organist Cameron Carpenter performing Poulenc’s Concerto for Organ, Strings, and Timpani and Saint-Saëns’ Symphony No. 3, Organ, on a program with Barber’s Adagio for Strings. 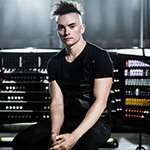 Following his BSO appearance, organist Cameron Carpenter will give a short recital of virtuoso solo works, featuring his Marshall & Ogletree touring organ. 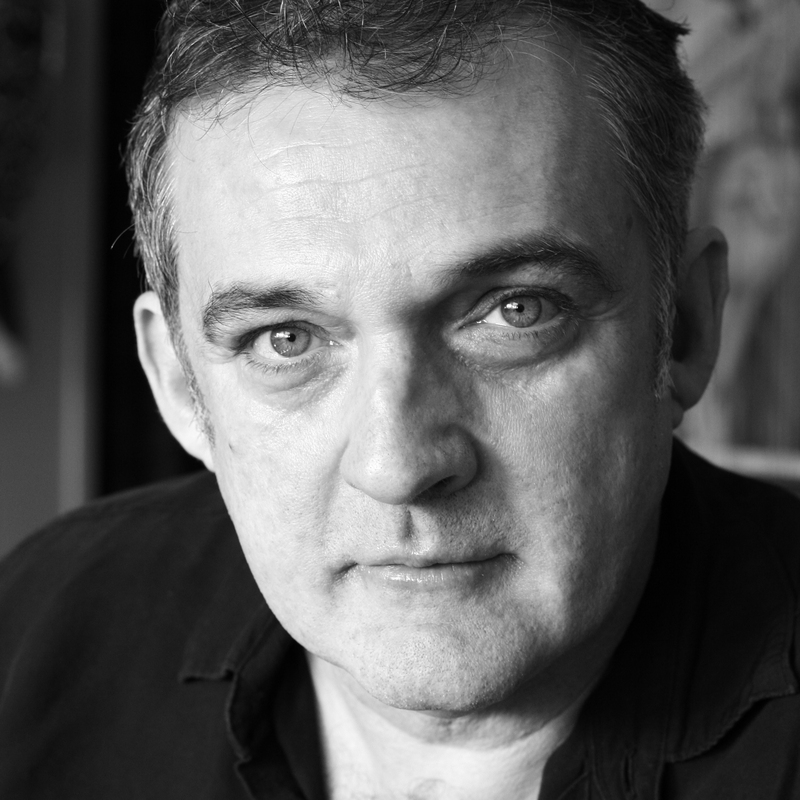 The following evening, July 11, Bramwell Tovey will lead an all-Italian program to include a concert performance of Act I from Puccini’s Tosca featuring Bryn Terfel as Scarpia and Sondra Radvonovsky as Tosca. On July 12, Seattle Symphony Music Director and former BSO assistant conductor Ludovic Morlot returns to the BSO podium to lead a program of John Luther Adams’ The Light That Fills, Mozart’s Violin Concerto No. 3 in G, K.216, with Pinchas Zukerman as soloist, and DvoÅ™ák’s Symphony No. 7. A BSO weekend, July 17-19, devoted to works of Mozart and Schumann, will feature Christian Zacharias as pianist and conductor for two programs, July 17 and 18. 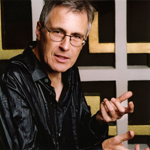 On July 17 Mr. Zacharias will lead the BSO in Schumann’s Manfred Overture and Symphony No. 2; the program will also include Mozart’s Rondo in C, K.373, an d Violin Concerto No. 5 in A, K.219, with Baiba Skride as soloist. On Saturday, July 18, Mr. Zacharias leads an all-Mozart program with Sarah Connolly joining Mr. Zacharias as pianist in “Ch’io mi scordi di te…Non temer, amato bene,” concert aria for soprano and orchestra with piano, K.505; Ms. Connolly will also perform “Deh per questo istante solo” from Act II of Mozart’s La clemenza di Tito, on a program that will also include Mozart’s Symphony No. 38, Prague. On Sunday, July 19, Sir Neville Marriner will be joined by pianist Paul Lewis for Schumann’s Piano Concerto, on a program spotlighting the orchestra in two of Mozart’s most beloved symphonies: Symphony No. 35, Haffner, and Symphony No. 36, Linz. BSO podium favorite Christoph von Dohnányi leads two programs: an all-Beethoven concert on July 24 and an all-Mozart program on July 26. 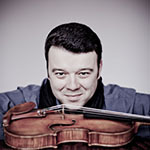 The all-Beethoven program will feature Vadim Gluzman in his BSO debut performing the composer’s Violin Concerto on a program with Symphony No. 4. The all-Mozart program will spotlight the composer’s last three symphonies: Symphony No. 39, Symphony No. 40, and Symphony No. 41, Jupiter. The third BSO program of the weekend on July 25 will feature Michael Tilson Thomas leading Mahler’s Symphony No. 5, on a program with Emanuel Ax performing Mozart’s Piano Concerto No. 14 in E-flat, K.449. On Friday, July 31, Boston Symphony Orchestra Assistant Conductor Ken-David Masur will lead a program opening with the overture to Weber’s Der Freischütz, followed bySchubert’s Symphony No. 4, Tragic and Beethoven’s Piano Concerto No. 5, Emperor, with soloist Garrick Ohlsson. 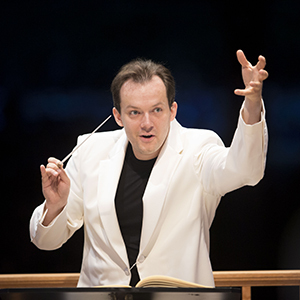 BSO Music Director Andris Nelsons will lead the August 1 and 2 BSO programs previously described above. On August 7, audience favorite Charles Dutoit leads the Boston Symphony Orchestra in Ravel’s Mother Goose Suite and Stravinsky’s Petrushka (1911 version), on a program with Sibelius’s Violin Concerto, with soloist Leonidas Kavakos. On Sunday, August 9, longtime Tanglewood favorite Joshua Bell joins Mr. Dutoit and the BSO for a performance of the Wieniawski Violin Concerto No. 2, on a program with one of the BSO’s signature works, Berlioz’s Symphonie fantastique. 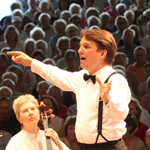 The Tanglewood Music Center Orchestra’s performance of Mahler’s Symphony No. 8, “Symphony of a Thousand,” under the direction of Andris Nelsons (details described above), fills out the weekend on August 8. The BSO’s final concert of the 2015 Tanglewood season on August 16, under the direction of Asher Fisch, will open with the Tanglewood Music Center Orchestra playing Copland’s Symphonic Ode, as the final performance of the TMC’s 75th anniversary celebration. The BSO’s performance of Beethoven’s Symphony No. 9 will feature soprano Julianna Di Giacomo, mezzo-soprano Renée Tatum, and tenor Paul Groves, bass-baritone John Relyea, and the Tanglewood Festival Chorus, John Oliver, conductor. Following its August 16 performance, the Boston Symphony Orchestra will return to Boston to prepare for its first tour with its new music director, Andris Nelsons; the 2015 BSO European tour, August 22-September 5, will include performances in London, Salzburg, Grafenegg, Lucerne, Milan, Paris, Cologne, and Berlin. Performances to take place in the Koussevitzky Music Shed the weekend of August 21-23 include the Boston Pops concert with Keith Lockhart and Cirque de la Symphonie (8/21) and Film Night with conductors John Williams and David Newman (8/22) described above. Shed programs for July 4, August 23, 28, 29, and 30, as well as programs for Labor Day weekend, September 4-6, will be announced at a later date. Tanglewood Wine & Food Classic will take place August 6-9. Tanglewood’s Family Concert will take place on Saturday, July 4, at 11 a.m. in Ozawa Hall. Further details on these two events will be announced at a later date. 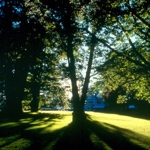 Tanglewood’s 2015 season opens on Saturday, June 20 and closes Labor Day Weekend. Tickets, priced from $10 to $124, go on sale Sunday, January 25 at 10 a.m., and are available through Tanglewood’s website, www.tanglewood.org, through SymphonyCharge at 888-266-1200, and at the Symphony Hall Box Office at 301 Massachusetts Avenue, Boston MA. $20 tickets for attendees under 40, one of the BSO’s most popular discount ticket offers, will be available for BSO and Boston Pops performances in the Shed. In addition, Tanglewood continues to offer free lawn tickets to young people age 17 and under, as well as a variety of special programs for children, including Kids’ Corner, Watch and Play, and the annual Family Concert, this year to take place July 4. A 50% discount on Friday-evening lawn tickets is available to college and graduate students 18 and over with a student ID. Tickets must be purchased in person at the Main Box Office, only on the night of the performance. One of the most popular and acclaimed music festivals in the world, Tanglewood—the Boston Symphony Orchestra’s summer home since 1937—is located in the beautiful Berkshire Hills between Lenox and Stockbridge, MA. With an average annual attendance of more than 300,000 visitors each season, Tanglewood has a $60 million impact on the Berkshire economy each summer. Tanglewood presents orchestra concerts by the Boston Symphony, Boston Pops, and visiting ensembles, featuring many of the greatest classical musicians of our time; recital and chamber music concerts in the intimate setting of Ozawa Hall; programs highlighting the young musicians of the Tanglewood Music Center; and performances by some of today’s leading popular artists. Introduced in 2013—$20 tickets for attendees under 40—will be available for BSO and Boston Pops performances in the Shed. 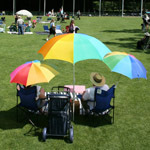 Tanglewood is family-friendly, with free lawn tickets available for children and young people age 17 and under, and a variety of special programs for children, including Kids’ Corner, Watch and Play, and the annual Family Concert, this year to take place on July 4. Tanglewood is also the home of the Tanglewood Music Center, celebrating its 75th anniversary this year, the BSO’s preeminent summer music academy for the advanced training of young professional musicians, and Days in the Arts, a multi-cultural arts-immersion program that gives 400 fifth-, sixth-, and seventh-graders from communities across Massachusetts the opportunity to explore the arts throughout each week-long session of the summer. These are just two of the BSO’s many educational and outreach activities, for which more information is available at www.bso.org—the largest and most visited orchestral website in the country, receiving about 7 million visitors annually and generating over $95 million in revenue since its launch in 1996. The Boston Symphony Orchestra is online at www.bso.org. Music lovers can follow the BSO on Facebook at www.facebook.com/bostonsymphony, on Twitter at www.twitter.com/bostonsymphony­and on Instagram at http://instagram.com/bostonsymphony. Tanglewood opens its 2015 season with the Boston Pops in the Koussevitzky Music Shed on Saturday, June 20. Keith Lockhart—who celebrates 20 years with the Boston Pops in 2015—leads America’s Orchestra in a program honoring our greatest living musical theater composer, Stephen Sondheim, with an all-new tribute, “Sondheim on Sondheim” In Concert, celebrating his amazing body of work. The audience will have a rare opportunity to hear a program featuring a range of Sondheim’s music—From West Side Story and Gypsy though Follies, Sweeney Todd, and Into the Woods—played by full symphonic orchestra. Broadway stars (to be named at a later date) and Fellows of the Tanglewood Music Center join the orchestra to bring Sondheim’s timeless music to life. Jazz songstress Diana Krall returns to Tanglewood Sunday, June 21, with her Wallflower World Tour, featuring music from her latest album Wallflower, to be released in February 2015. 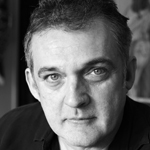 Back at Tanglewood in 2015 for their annual residency after a one year hiatus, Mark Morris and the Mark Morris Dance Group return to Ozawa Hall for two concerts on Thursday, June 25, and Friday, June 26, in collaboration with Fellows of the Tanglewood Music Center. The program will open with Mark Morris, in his Tanglewood conducting debut, leading Bach’s Brandenburg Concerto No. 1 (performed without dancers), followed by Mr. Morris’s Cargo set to Milhaud’s The Creation of the World and a new work commissioned by the Boston Symphony Orchestra set to Bach’s Brandenburg Concerto No. 1 in a transcription for two pianos by Reger. On Saturday, June 27, American Public Media’s A Prairie Home Companion returns for the eighteenth consecutive year to the Tanglewood grounds for its annual live broadcast from the Koussevitzky Music Shed. 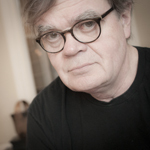 Host Garrison Keillor and a colorful cast of friends from the shores of Lake Wobegon will take the stage for this perennially popular Tanglewood tradition. 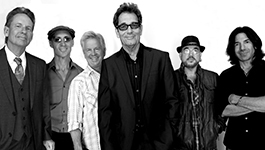 Huey Lewis & The News celebrates their 35-year history with a Tanglewood performance on Sunday, June 28, bringing their While We Were Young Tour to the Shed for an afternoon concert featuring some of the rock and roll band’s greatest hits. The Grammy Award-winning group, which got its start in San Francisco in 1979, has sold over 20 million albums worldwide. Legendary crooner Tony Bennett and superstar songstress Lady Gaga perform their renditions of jazz standards from their collaborative album, “Cheek to Cheek,” Tuesday, June 30 in the Shed. The unlikely duo met backstage at a charity gala in 2011, and first combined vocal forces on a release of “Lady Is A Tramp.” Mr. Bennett and Lady Gaga dove into the Great American Songbook to handpick a selection of tunes for the album and tour. The set list includes pieces penned by such musical luminaries as George and Ira Gershwin, Cole Porter, Duke Ellington, and Irving Berlin. On July 1, the Boston Symphony Chamber Players make their 2015 appearance in Ozawa Hall with a repeat performance of former TMC Fellow Hannah Lash’s Three Shades Without Angles for flute, viola, and harp, which was commissioned by the BSO for the Chamber Players’ 50th anniversary season and premiered in 2014. Also on the program are Nielsen’s Wind Quintet, Op. 43, considered by many the finest wind quintet in the repertoire; and Brahms’ Serenade No. 1 in D for winds and strings, reconstructed by Alan Boustead in the 1980s for what is presumed to be the original intended instrumentation. 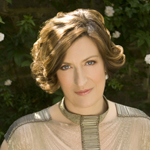 Apollo’s Fire: the Cleveland Baroque Orchestra, founded in 1992 by music director and conductor Jeannette Sorrell (a TMC Fellow in 1989), brings their latest program, A Night at Bach’s Coffee House, to Ozawa Hall on Thursday, July 2, in celebration of the composer’s 330th birthday year. The program will evoke the atmosphere of the famous coffee house, Café Zimmermann, in 1730s Leipzig, where Johann Sebastian Bach organized and performed lively concerts. 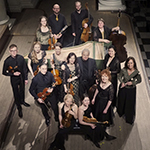 Apollo’s Fire will perform excerpts from Telemann’s incidental music to Don Quixote to mark the 400th anniversary of Cervantes’ Don Quixote, Part II, as well as Bach’s Brandenberg concertos nos. 4 and 5, Handel’s Chaconnefrom Terpsichore, and Vivaldi’s La Folia. The Boston Symphony Orchestra opens its 2015 Tanglewood season on Friday, July 3, with an all-American Opening Night program in the Koussevitzky Music Shed featuring Copland’s Lincoln Portrait and Gershwin’s Piano Concerto in F.
In celebration of Independence Day, a popular artist (to be announced in early 2015) will perform at Tanglewood on Saturday, July 4. 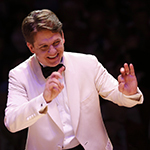 Keith Lockhart, fresh off the July 4 festivities at the Boston Esplanade, returns to Tanglewood on Sunday, July 5, for an afternoon program with the Boston Pops Orchestra with a special guest star (to be announced at a later date). The Tanglewood Music Center Orchestra performs their first concert of the 75th anniversary season on Sunday, July 5, led by conductor Stefan Asbury and TMC Conducting Fellows. The program includes Brahms’ Variation on a Theme by Haydn and Sibelius’ Symphony No. 5. On Monday, July 6, Tanglewood Brass Spectacular! will feature members of the Boston Pops brass and percussion sections performing a one-of-a-kind concert with two of the world’s best drum corps: the Boston Crusaders, the third oldest drum corps in America, celebrating their 75th anniversary; and sixteen-time DrumCorps International World Champion Blue Devils from Concord, California. The Fleisher-Jacobson Piano Duo, featuring husband and wife pianists Leon Fleisher and Katherine Jacobson, will perform in recital on Wednesday, July 8, in Ozawa Hall. The program includes Bach’s “Sheep may safely graze” from Cantata No. 208; Kirchner’s L.H. for Leon Fleisher; Perle’s Musical Offerings; Koston’s Thoughts of Evelyn; Schubert’s Fantasy in D for piano four-hands; and Ravel’s La Valse. 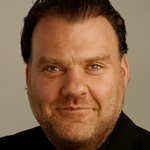 The following evening, Thursday, July 9, Welsh opera great Bryn Terfel presents an Ozawa Hall recital. Frequent guest conductor Stéphane Denève returns to Tanglewood on Friday, July 10, to lead the Boston Symphony Orchestra in a program featuring virtuoso American organist Cameron Carpenter in his BSO debut. The program will open with Barber’s Adagio for Strings, one of the most popular orchestral works of the 20th century. Then Mr. Carpenter will join the BSO for Poulenc’s Concerto for Organ, Strings, and Timpani as well as and Saint-Saëns kaleidoscopic Organ Symphony. Immediately following the BSO concert, at 10:45 p.m., Cameron Carpenter will give a special short recital of virtuoso solo works featuring his famous Marshall & Ogletree touring organ in the Shed. 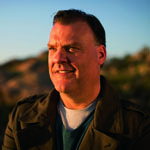 On Saturday, July 11, soprano Sondra Radvanovsky (Tosca) and baritone Bryn Terfel (Scarpia) are featured in a performance of the first act of Puccini’s Tosca with the BSO, Tanglewood Festival Chorus, and conductor Bramwell Tovey at the helm on an all-Italian program. Former BSO assistant conductor Ludovic Morlot returns to Tanglewood on Sunday, July 12, with violinist Pinchas Zukerman for Mozart’s Violin Concerto No. 3, written in Salzburg when the composer was just 19. The program also includes John Luther Adams’ crystalline The Light That Fills the World and DvoÅ™ák’s somber and intimate Symphony No. 7. 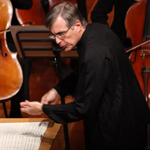 Mr. Morlot also leads the Tanglewood Music Center Orchestra on Monday, July 13, in a program including Hindemith’s Konzertmusik for strings and brass and Debussy’s Images for orchestra. 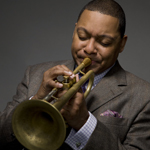 On Tuesday, July 14, Wynton Marsalis and the Jazz at Lincoln Center Orchestra will perform in Ozawa Hall. The 15 piece in-house big band at Jazz at Lincoln Center has been performing with Marsalis since 1991, when he was hired as the group’s artistic director. 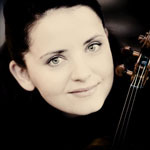 Latvian violinist Baiba Skride and mezzo-soprano Sarah Connolly take the stage in a recital on Thursday, July 16, featuring vocal and chamber music of Mozart and Schumann, including Schumann’s Frauenliebe und –leben—a prelude to the weekend’s exploration of the orchestral and solo works of both composers. The Boston Symphony Orchestra will explore the works of Mozart and Schumann over the course of three weekend programs, July 17-19. On Friday, July 17, acclaimed German conductor Christian Zacharias will lead the orchestra in Schumann’s Overture from the incidental music to Manfred and Symphony No. 2 in C, along with Mozart’s elegant Rondo in C for violin and orchestra and Violin Conce rto No. 5 with violinist Baiba Skride. On Saturday, July 18, Mr. Zacharias returns to the podium and piano for an all-Mozart program featuring Piano Concerto No. 25 and Symphony No. 38, Prague. Mezzo-soprano Sarah Connolly will join Mr. Zacharias and the orchestra for “Ch’io mi scordi di te…Non temer amato bene,” a concert aria for soprano and orchestra with piano solo (played by Mr. Zacharias), as well as “Deh per questo istante solo” from La clemenza di Tito, Act II. On Sunday afternoon, July 19, Sir Neville Marriner returns to Tanglewood for the first time in 10 years to celebrate his 90th birthday. 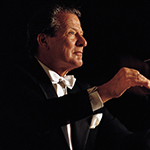 Sir Marriner will lead the BSO in Mozart symphonies No. 35, Haffner, and No. 36, Linz. 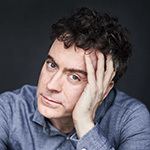 The centerpiece of the program is Schumann’s intensely lyrical Piano Concerto, featuring widely praised English pianist Paul Lewis, who is quickly becoming a Tanglewood audience favorite. On Sunday evening, six time Tony Award-winner Audra McDonald brings her own ensemble, featuring bassist Mark Vanderpoel and drummer Gene Lewis, to Ozawa Hall offering a program of favorite show tunes, popular standards, and original pieces written especially for the songstress. 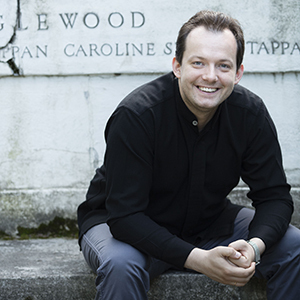 Stefan Asbury and the Tanglewood Music Center Orchestra open the 2015 Festival of Contemporary Music on Monday, July 20, performing a concert of four world premieres, all Tanglewood Music Center commissions. The premieres include Einojuhani Rautavaara’s Lost Landscapes – Tanglewood, for solo violin and strings; Andreia Pinto-Correia’s Timaeus; a new work by Detlev Glanert; and Robert Zuidam’s Piano Concerto, featuring pianist Emanuel Ax. Paul Lewis takes the Ozawa Hall stage in a performance of Beethoven’s transcendent final three piano sonatas, nos. 30, 31, and 32, in recital Tuesday, July 21. The Emerson String Quartet returns to the recital hall on Wednesday, July 22, performing Ives’s hymn-inspired Quartet No. 1, American composer Lowell Liebermann’s new Quartet No. 5 (a BSO co-commission, premiered by the group in September 2014), and Beethoven’s Quartet No. 16 in F, Op. 135. One of the BSO’s favorite guest conductors, Christoph von Dohnányi, leads the orchestra in two programs, July 24 and 25. On Friday, July 24, Maestro von Dohnányi leads an all-Beethoven program featuring the buoyantly cheerful Symphony No. 4 and the Violin Concerto with Vadim Gluzman in his BSO debut. On Sunday, July 26, Maestro von Dohnányi returns for an all-Mozart program featuring the composer’s final three Symphonies, Nos. 39, 40, and 41, Jupiter. 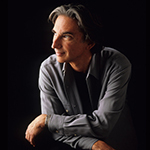 Former TMC Fellow and world famous conductor Michael Tilson Thomas celebrates his 70th birthday in 2015, and joins the Boston Symphony at Tanglewood to lead Mozart’s Piano Concerto No. 14, featuring pianist Emanuel Ax, and Mahler’s expansive and chaotic Symphony No. 5, written during one of the happiest times in Mahler’s life. As part of the Festival of Contemporary Music, which takes place July 20-27, Michael Tilson Thomas and Tanglewood Music Center Conducting Fellows will lead the Tanglewood Music Center Orchestra and BUTI Chorus, Ann Howard Jones, conductor, in an all-American program to celebrate the TMC’s 75th anniversary. The concert, featuring three composers who had strong ties to Tanglewood, includes Copland’s Orchestral Variations, Foss’s Quintets for orchestra, and Bernstein’s Prelude, Fugue, and Riffs, for clarinet and orchestra, as well as Charles Ives’s New England Holidays. On July 30, Brooklyn-based chamber ensemble The Knights return to Ozawa Hall for a theatrical evening featuring Falla’s Master Peter’s Puppet Show, based on Cervantes’ Don Quixote, another piece in the celebration of the 400th anniversary of the novel. The production will feature New York City-based puppeteer Basil Twist, along with soprano Awet Andemicael as the boy, tenor Nicholas Phan as Master Peter, and bass-baritone Kyle Ketelsen as Don Quixote. The program will also include other Spanish-flavored music of Boccherini, Ravel, Falla, Paco de Lucía, José de Nebra, and Geminiani, as well as readings of Pablo Neruda’s poetry with musical improvisation. 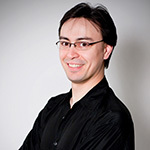 Ken-David Masur leads his first program as BSO assistant conductor at Tanglewood, Friday, July 31, in an UnderScore Friday concert. Weber’s Overture to Der Freischütz opens the program, followed by Schubert’s Fourth Symphony, Tragic, and closing with Beethoven’s Emperor Concerto, the last and most monumental of Beethoven’s concertos, featuring pianist Garrick Ohlsson. 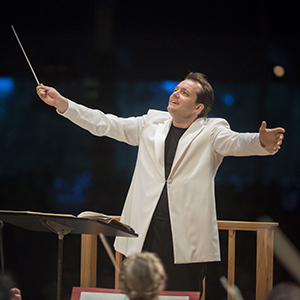 BSO Music Director Andris Nelsons makes his first appearances at Tanglewood in 2015 on August 1 and 2. On Saturday, August 1, Mr. Nelsons is joined by pianist Jean-Yves Thibaudet and brothers violinist Renaud Capuçon and cellist Gautier Capuçon, for Beethoven’s Triple Concerto for piano, violin, and cello. Mr. Nelsons then leads the BSO in Shostakovich’s tragic and powerful Symphony No. 10, often interpreted as the composer’s reaction to Stalinist oppression following the death of the Soviet leader. On Sunday, August 2, Mr. Nelsons leads the BSO in Haydn’s Symphony No. 90, a work that hasn’t been performed by the Boston Symphony Orchestra in nearly 20 years. 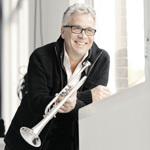 Swedish trumpet virtuoso Håkan Hardenberger, one of Mr Nelsons’ frequent collaborators, will join the orchestra for Australian composer Brett Dean’s Dramatis personae, for trumpet and orchestra, a concerto given its American premiere at Symphony Hall in November 2014. Dean’s work incorporates the spirit of theater and the silver screen, with allusions to superheroes, Shakespeare, and Charlie Chaplin. The program closes with Strauss’s Don Quixote (celebrating the novel’s 400th anniversary) featuring cellist Yo-Yo Ma and BSO principal viola Steven Ansell. On Sunday, August 2, the Tanglewood Music Center Orchestra will perform a program of opera highlights, including excerpts from Mozart’s Idomeneo and Britten’s Albert Herring. One of the festival’s most beloved traditions, the ever-popular Tanglewood on Parade takes place this year on Tuesday, August 4, giving audiences a chance to hear all of the festival’s orchestras perform in a single concert. BSO Music Director Andris Nelsons, conductor Stéphane Denève, and Boston Pops Conductor Keith Lockhart will lead this gala program, ending with the traditional TOP finale, Tchaikovsky's 1812 Overture. This festive concert features performances by the BSO, the Tanglewood Music Center Orchestra, and the Boston Pops, followed by fireworks over the Stockbridge Bowl. 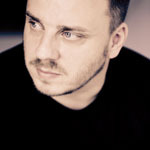 On Wednesday, August 5, in Ozawa Hall, German baritone Matthias Goerne and pianist Markus Hinterhäuser will perform Schubert’s Winterreise. One of Schubert’s greatest works, completed by the composer shortly before his death at 31, Winterreise is a song cycle featuring 24 poems by Wilhelm Müller about a lone traveler in winter, frozen by rejection and grief. Brahms takes the spotlight for the second year in a row in an evening performance Thursday, August 6, by pianist Emanuel Ax, violinist Leonidas Kavakos, and cellist Yo-Yo Ma. The three star musicians will come together for performances of the composer’s first three (of four) piano trios. BSO Music Director Andris Nelsons will take part in the TMC 75th anniversary by leading a performance of Mahler’s Symphony No 8, “Symphony of a Thousand,” on August 8. One of the largest-scale works in the classical concert repertoire—as its descriptive title suggests—and Mahler’s most ambitious work, the Symphony No. 8 is a strongly dramatic two-part edifice, its first section a setting of the hymn “Veni creator spiritus,” the second a treatment of the final scene from Goethe’s Faust. This performance showcases the Tanglewood Music Center Orchestra, Tanglewood Festival Chorus, American Boy Choir, and a cast of internationally acclaimed soloists, including sopranos Erin Wall and Christine Goerke, mezzo-sopranos Lioba Braun and Jane Henschel, tenor Klaus Florian Vogt, and baritone Matthias Goerne; the bass vocalist will be announced at a later date. A special video of this performance of Mahler’s Eighth Symphony, along with features about the TMC 75th anniversary, will be made available to the public through a live webcast at www.tanglewood.org, bringing the TMC’s celebration to music lovers across the nation and around the world. Charles Dutoit returns to Tanglewood for two programs featuring world class violinists. 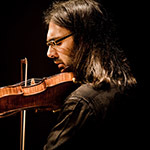 The first, on Friday, August 7, features Leonidas Kavakos in Sibelius’s Violin Concerto on a program that also includes Ravel’s fairy tale-inspired Mother Goose Suite and Stravinsky’s Petrushka, composed for Diaghilev’s legendary Ballet Russes. 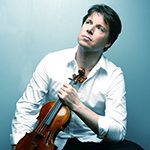 On Sunday, August 9, Joshua Bell joins the orchestra for Wieniawski’s Violin Concerto No. 2. Mr. Dutoit will also lead Mussorgsky’s chilling Night on Bald Mountain, and Berlioz’s feverish Symphonie fantastique. The Sunday, August 9, concert is sponsored by EMC Corporation. On Sunday night, August 9, Yo-Yo Ma and Emanuel Ax, Tanglewood’s 2015 Koussevitzky Artists, will perform Beethoven’s complete sonatas for cello and piano in the Koussevitzky Music Shed. 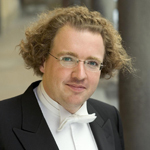 Christian Tetzlaff will appear in recital in Ozawa Hall on Wedneday, August 12, performing Ysaÿe’s Sonata in G minor forsolo violin; Bach’s Sonata No. 3, solo violin movements from Kurtág’s Signs, Games, and Messages, and Bartok’s Sonata for Unaccompanied Violin. In a special cello-centric evening, Thursday, August 13, Yo-Yo Ma brings together a consortium of talented musicians, including the Boston Cello Quartet (BSO cellists Adam Esbensen, Alex Lecarme, Mihail Jojatu, and Blaise Dejardin) and Mike Block, Monika Leskovar, and Giovanni Sollima for an engrossing program exploring the late 16th and early 17th centuries, which represented a unique period of globalization, cultural exchange, and artistic ferment. Inspired by the book A Distant Mirror by Barbara Tuchman, Yo-Yo Ma and friends explore the musical world and contemporary resonances of the time, and of its most celebrated literary figures, Shakespeare and Cervantes. On Friday, August 14, Andris Nelsons leads the BSO and acclaimed violinist Christian Tetzlaff in Mendelssohn’s sparkling Violin Concerto. The program will also feature Mahler’s monumental Symphony No. 6, one of the composer’s most heartfelt symphonies, marked by its dark, emotional intensity. The Saturday, August 15 program features the highly acclaimed soprano Kristine Opolais, who joins her husband Andris Nelsons for a program of operatic showpieces, including Boito’s “L’altra note in fondo al mare” from Act III of Mefistofele, , and Verdi’s Willow Song and “Ave Maria” from Act IV of Otello. The program also includes Barber’s Second Essay for Orchestra, Puccini’s Intermezzo from Act III of Manon Lescaut, and Strauss’s tone poem Ein Heldenleben. 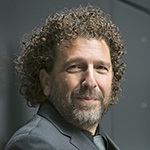 Asher Fisch will lead the Tanglewood Music Center Orchestra and the BSO in their final concerts of the 2015 Tanglewood season, Sunday, August 16.The program will open with the Tanglewood Music Center Orchestra performing Copland’s Symphonic Ode, as the final concert of the TMC’s 75th anniversary celebration. 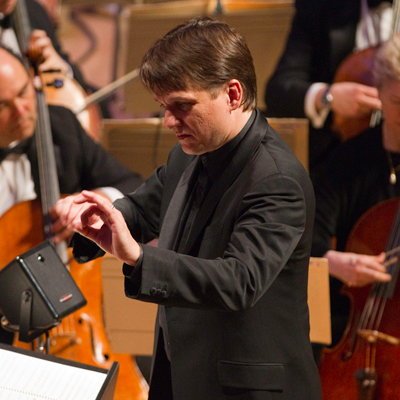 The BSO’s traditional season-ending performance of Beethoven’s Symphony No. 9 will feature soprano Julianna Di Giacomo, mezzo-soprano Renée Tatum, tenor Paul Groves, and bass-baritone John Relyea, and the Tanglewood Festival Chorus, John Oliver, conductor. Following its August 16 performance, the Boston Symphony Orchestra will return to Boston to prepare for its first tour with its new music director, Andris Nelsons; the 2015 BSO European tour, August 22-September 5, will include performances in London, Salzburg, Grafenegg, Lucerne, Milan, Paris, Cologne, and Berlin. 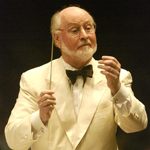 John Williams’ Film Night, one of the most eagerly-anticipated evenings of the Tanglewood Season, takes place on Saturday, August 22. Mr. Williams and the Boston Pops will be joined by guest conductor David Newman for what has become one of the signature events of the Tanglewood season. Tickets for the 2015 Tanglewood season go on sale to the general public on Sunday, January 25, at 10 a.m. Tickets are available through Tanglewood’s website, www.tanglewood.org, through SymphonyCharge at 888-266-1200, and at the Symphony Hall Box Office at 301 Massachusetts Avenue, Boston MA. Regular season ticket prices range from $10-$124. Tickets for Saturday Morning Rehearsals range from $13-$32. All ticket prices include a $2 Tanglewood grounds maintenance fee. Tickets will also be available for purchase in person at the Tanglewood Box Office at Tanglewood’s Main Gate on West Street in Lenox, MA, as of Wednesday, June 17, at 10 a.m. American Express, Visa, MasterCard, Diners Club, Discover, and cash are all accepted at the Tanglewood Box Office. For further information and box office hours, please call the Boston Symphony Orchestra at 617-266-1492 or visit www.tanglewood.org. The BSO's $20 tickets for attendees under 40 will be available during the 2015 Tanglewood season for select performances. Beginning January 25, tickets will be available on a first-come, first-served basis through www.tanglewood.org and through SymphonyCharge. Blackout dates include all Popular Artist concerts. Eligible patrons may purchase up to two tickets per show and must provide proof of age when picking up their tickets at will call in order to receive the discount. Tanglewood is pleased to offer free lawn tickets for children and young people age 17 and younger. Up to four free children’s lawn tickets are available per parent/legal guardian per concert at the Tanglewood Box Office on the day of the concert, as all patrons, regardless of age, must have a ticket. Please note that the free lawn ticket policy does not apply to organized groups. For Popular Artists concerts, free lawn tickets are only available for children under age 2. Tanglewood brochures with complete programs and information on how to order tickets will be available in early February by calling 617-638-9467. For further information, please call the Boston Symphony Orchestra at 617-266-1492 or visit www.tanglewood.org. For Berkshire tourist information and reservations, contact the Berkshire Visitors Bureau at 800-237-5747 or www.berkshires.org. Tanglewood provides special programs for kids, such as the popular Kids’ Corner, a musical and craft-related project supervised and supported by BSO staff on weekends, and the Watch and Play program, a series of lively discussions about instruments, concert themes, and/or musical concepts on selected Sundays. In addition, through its Tanglewood for Kids program, Tanglewood offers free lawn tickets, up to four per family, to all children and young adults age 17 and under. Tanglewood will present its annual Family Concert on Saturday, July 4 at 11 a.m. Tickets for the Family Concert are free to youth age 18 and under and $10 for each adult. Tanglewood offers a free pre-concert panel discussion series called “This Week at Tanglewood” on Fridays at 7:15 p.m. in the Koussevitzky Music Shed, and free hour-long walking tours of Tanglewood’s grounds and performance spaces daily (email bsav@bso.org or call 617-638-9394 for dates and times). Friday-evening Prelude Concerts, at 6 p.m. in Ozawa Hall, feature BSO musicians in small ensemble and chamber music settings. Saturday-evening Prelude Concerts, July 5-August 16, at 6 p.m. in Ozawa Hall, feature Tanglewood Music Center Fellows in performance. Admission to Prelude Concerts is free to all BSO concert ticket holders. “Talks and Walks,” a series of informal conversations presented by guest artists and members of the BSO family in the Tent Club on Thursday afternoons, begins with a talk at 1 p.m. and a guided tour of the grounds at 1:45 p.m. To purchase tickets, available at $19 each or $114 for a full series, call 617-638-9394 or email bsav@bso.org.